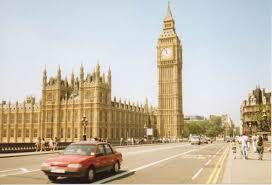 The clock tower at the Houses of Parliament in which Big Ben is housed, starts keeping time. The famous tower clock known as Big Ben, located at the top of the 320-foot-high St. Stephen’s Tower, rings out over the Houses of Parliament in Westminster, London, for the first time on 31 May 1859. After a fire destroyed much of the Palace of Westminster–the headquarters of the British Parliament–in October 1834, a standout feature of the design for the new palace was a large clock atop a tower. The royal astronomer, Sir George Airy, wanted the clock to have pinpoint accuracy, including twice-a-day checks with the Royal Greenwich Observatory. While many clockmakers dismissed this goal as impossible, Airy counted on the help of Edmund Beckett Denison, a formidable barrister known for his expertise in horology, or the science of measuring time. The name “Big Ben” originally just applied to the bell but later came to refer to the clock itself. Two main stories exist about how Big Ben got its name. Many claim it was named after the famously long-winded Sir Benjamin Hall, the London commissioner of works at the time it was built. Another famous story argues that the bell was named for the popular heavyweight boxer Benjamin Caunt, because it was the largest of its kind. Even after an incendiary bomb destroyed the chamber of the House of Commons during the Second World War, St. Stephen’s Tower survived, and Big Ben continued to function. Its famously accurate timekeeping is regulated by a stack of coins placed on the clock’s huge pendulum, ensuring a steady movement of the clock hands at all times. At night, all four of the clock’s faces, each one 23 feet across, are illuminated. A light above Big Ben is also lit to let the public know when Parliament is in session. The Trans-Alaska Pipeline System is finished. With the laying of the first section of pipe on March 27, 1975, construction began on what at the time was the largest private construction project in American history.A deciding vote in the U.S. Senate by Vice President Spiro Agnew had passed the Trans-Alaska Pipeline Authorization Act on July 17, 1973. Years of debate about the project’s environmental impact escalated. Concerns were raised about earthquakes and elk migrations.The 800-mile Trans-Alaska Pipeline system, including pumping stations, connecting pipelines, and the ice-free Valdez Marine Terminal, ended up costing billions. The last pipeline weld was completed on May 31, 1977. On June 20, 1977, oil from the North Slope’s Prudhoe Bay field began flowing to the port of Valdez at four miles an hour through the 48-inch-wide pipe. It arrived at the port 38 days later.The completed pipeline system, at a cost of $8 billion, including terminal and pump stations, will transport about 20 percent of U.S. petroleum production. Tax revenues alone earned Alaskans about $50 billion by 2002.Special engineering was required to protect the environment in difficult construction conditions, according to Alyeska Pipeline Service Company. Details about the pipeline’s history include:Oil was first discovered in Prudhoe Bay on the North Slope in 1968. 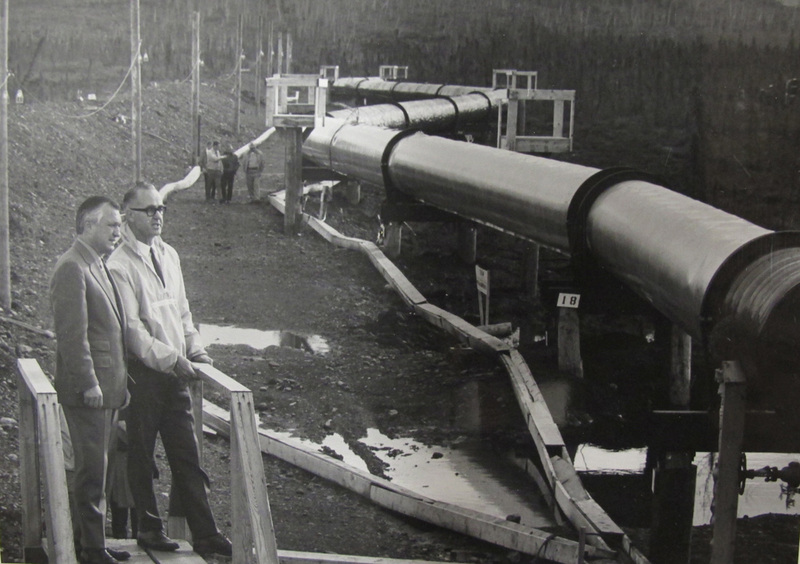 The pipeline project involved some 70,000 workers from 1969 through 1977.The first pipe of the Trans-Alaska Pipeline System was laid on March 27, 1975. Last weld was completed May 31, 1977.The pipeline is often referred to as “TAPS” – an acronym for the Trans Alaska Pipeline System.First oil moved through the pipeline on June 20, 1977. During civil unrest in Tulsa, Oklahoma 39 people die. French and Spanish forces start attacking the British forces occupying Diamond Rock. The Trans-Alaska Pipeline System is completed. The last Ford Model T is produced.